A recent study published in the Journal of American Medicine has shows marijuana users are healthier than nonusers. This is exciting results for marijuana advocates. 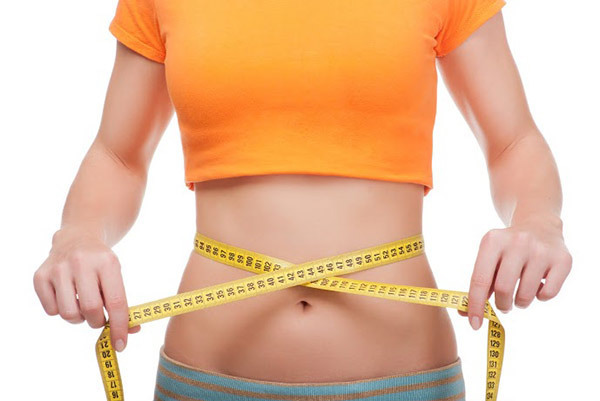 Along with the huge list of marijuana benefits listed below, marijuana actually helps to reduce weight. This might not make much sense at first. Appetite may develop after smoking pot, and the end result is called “the munchies”. After smoking, this state is inevitable and overeating is a definite consequence. This is mainly due to the THC content, which sends signals to the brain that trigger the release of certain hormones. These hormones tell your body that you need to eat, regardless of the fact that you may have just eaten. To add to this, marijuana actually increases sense of touch, taste and smell, so the food tastes even better and is even harder to resist. 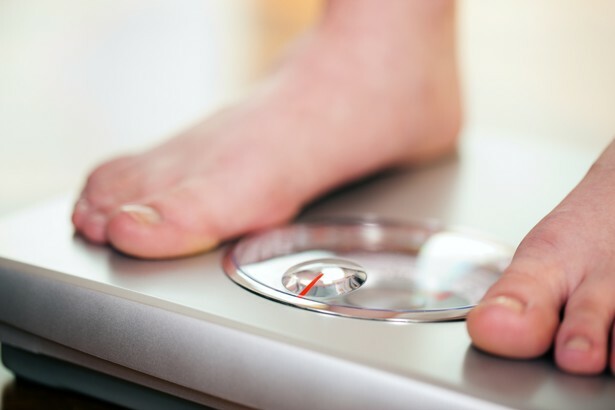 By controlling the release of insulin, marijuana regulates metabolism in a way that promotes weight reduction, despite the fact that marijuana users may still consume more calories. This really is the best of both worlds, you eat more but actually lose weight because of a quicker metabolism. The study was quite large, consisting of over 4,600 people. Previous research had shown that marijuana users had lower instances of diabetes and obesity. But this is the first study of its kind to establish a relationship between insulin and marijuana consumption. Studies show insulin is a key hormone linked to heart disease and metabolism. 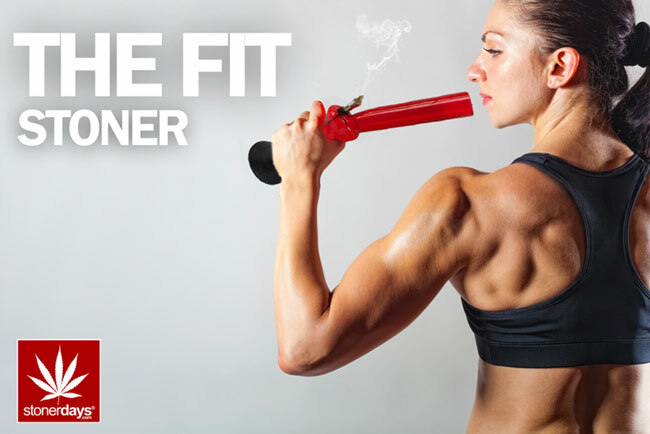 In addition to weight loss, the study found that marijuana users in general are healthier than their nonsmoking counterparts. Most of the key variables indicate health is better for marijuana users than nonusers. Marijuana users have smaller waist to hip ratios, lower blood sugar, higher levels of HDL (“Good”) cholesterol and a lower risk of insulin resistance. The most pronounced results were in those who smoked regularly. In other words, marijuana could soon be up there with fruit and vegetables in terms of health and wellbeing. The findings of this study should not come as such as surprise, given the numerous health benefits associated with marijuana. Studies suggest that marijuana consumption increases creativity and problem-solving skills, and even helps focus in certain areas. The component that gives cannabis its health benefits is THC, which works on the endocannabinoid system. The endocannabinoid system is responsible for emotional processing, sleep and cognition. The health benefits of marijuana are endless. Cannabis shows to alleviate Post Traumatic Stress Disorder, anxiety, depression, glaucoma, schizophrenia, insomnia, bi-polar and more. It helps to regulate metabolism and weight, by controlling the release of insulin. Not to mention the fact that it also happens to be a superfood. The leaves of the marijuana plant are full of beneficial compounds and vitamins. All leafy greens have the same characteristic of being full of vitamins which are incredibly beneficial. The biggest superfoods on the planet are usually green – Kale, Spinach, Spirulina, Marine Phytoplankton. Cannabis research is making it a top superfoods across the web. Cannabis is used as a supreme muscle relaxant for athletes after sporting events, or to help them to get a restorative sleep. There is a large variety of topical cannabis products being release on the market as legalization continues. When marijuana is heated the THC rises in the form of smoke or vapor. 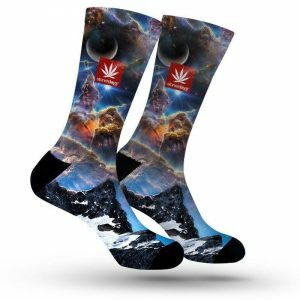 THC is an element that gives the euphoric highs that cannabis is renowned for. Cannabis above 23% is judged to be of a high THC content. The range is generally from 19% to 23%. With the ongoing marijuana legalization, expect to see many THC infused products with a variety of benefits. There is a large difference between vaporization and combustion. When marijuana is combusted, plant matter and filter paper is turned to smoke, and all the harmful chemicals from these substances end up being in your system. Numerous scientific studies indicate that vaporization is healthier than combustion. Materials heat to a lower temperature, which means that only the essential oils containing the THC and other compounds gets released. Chemicals get left behind as the heat is not strong enough to release them to gas. Cannabinoid receptors can be found throughout the body and play a role in practically all bodily functions, including sleep, appetite, mood, emotions, immune function, fertility and reproduction, hunger, temperature, memory, pain, pleasure and motor control. Endocannabinoids are chemical messengers that tell these receptors when to start and stop functioning. With many neurological disorders, endocannabinoids can help to get things moving again. 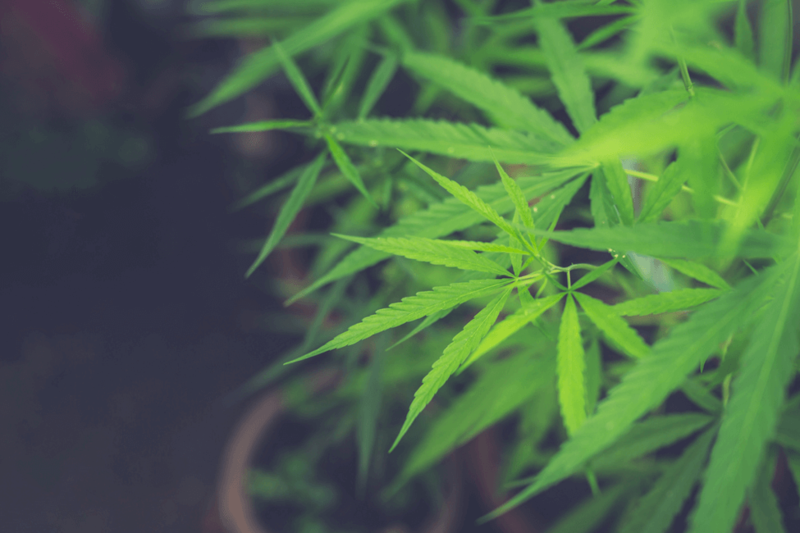 Research indicates the effects of marijuana on health are overwhelmingly positive. That said, it is still important to use responsibly. Excessive consumption, just like anything else, will result in unfavorable consequences. The real danger lies for children and young adults who might overuse. Marijuana has become one of the most illegitimately criticized foods in the world. The fact of the matter is that it does lower motivation, and there is a possible link between lower IQ and cannabis consumption. It is also worth noting that while marijuana is generally good for neurological disorders, there are going to be instances where it will produce adverse effects. 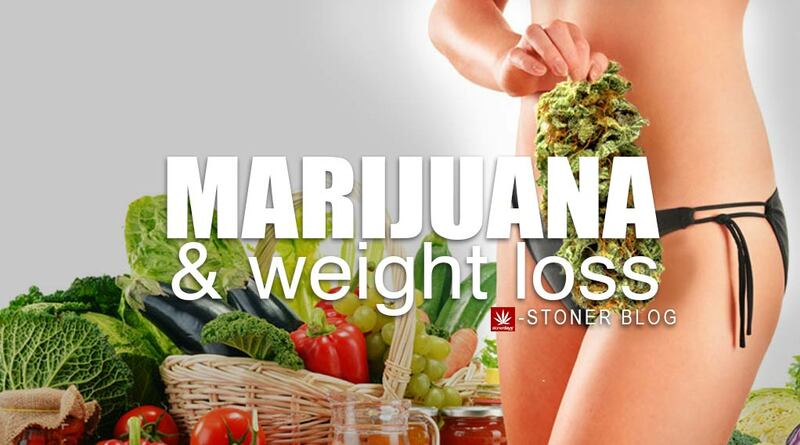 But if you are avoiding cannabis because you might put on weight, then you are doing so for the wrong reason. 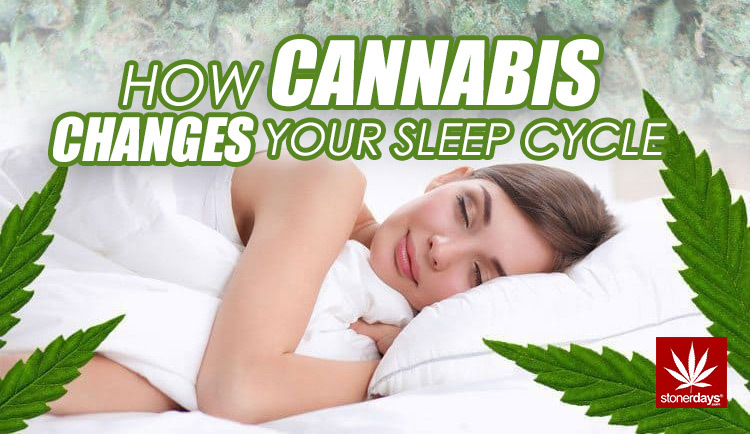 Cannabiscan help you fall asleep faster. With sedative effects, it has the ability to relieve stress and help you physically relax, which can make it easier to drift off to sleep and get some rest. Using cannabis can be particularly helpful for people who have conditions that make it difficult to sleep well. People who suffer from PTSD, insomnia, pain, and other conditions can use marijuana to relieve the symptoms that can interfere with sleep. Cannabis may relieve symptoms of sleep disorders including sleep apnea by supporting better breathing. Dronabinol, an exogenous cannabinoid, improved sleep apnea symptoms in almost all of the participants in a 2013 study. Research suggests that cannabidiol (CBD) may have therapeutic potential for treating insomnia. CBD also shows potential for treating REM sleep behavior disorder and excessive daytime sleepiness. THC can make it easier to fall asleep, however, THCuse could impair long term sleep quality. Using cannabis before bedtime can cause changes in your sleep cycle, reducing the time spent in rapid eye movement (REM) sleep. This is the final stage of your sleep cycle and is the time in which you dream. When you use cannabis before bed, you may not have as many dreams, or your dreams may be less vivid. If you’re a long term user of cannabis, taking a break or discontinuing use may cause temporary sleep disruptions. It can be more difficult to fall asleep, and you may experience shorter sleep time, less slow wave sleep, shorter REM cycles, and lessened sleep efficiency. Typically, sativa strains can be energizing and uplifting, which may not be a good choice for sleep. Indica is usually a better choice for sleepy effects. Indica is believed to contain more relaxing and sedating terpenes than sativa strains. Aged cannabis can improve sleepy effects. As THC oxidizes, it converts to CBN, which is associated with more sedative effects than fresh cannabis. Some users age their own cannabis, but some producers are creating CBN products including oils, edibles, capsules, and patches. Inhaling marijuana can deliver a faster effect that helps you go to sleep more quickly. However, the effects of cannabis-infused edibles can last for a longer period of time, and help you stay asleep longer. Although cannabis can help support good sleep, it’s not a replacement for healthy sleep habits. You can improve your sleep by maintaining good sleep hygiene and using cannabis to help you relax and drift off to sleep. Give yourself enough time to sleep. Make sleep a priority, reserving about eight hours a night so that you can get the seven to seven and a half hours of sleep the average adult needs. Create a healthy sleep environment. It can be difficult to sleep well if you’re in an environment that’s not conducive to sleep. You should have a mattress that appropriately meets your needs, and your bedroom should be cool, dark, and quiet. Talk to your doctor about sleep disorders. Although cannabis can help with sleep disorders including insomnia and sleep apnea, it’s not a replacement for diagnosis and treatment. Discuss sleep difficulties with your doctor and how you may be able to incorporate cannabis in your treatment. Maintain a regular cannabis and sleep schedule.Going to bed at the same time each night and waking up at the same time each day can help you fall asleep easier. The same is true for maintaining a regular bedtime routine, in which you go through the same few steps before bed every night. Keep your evenings relaxing. Avoid caffeine, late night screen time, and vigorous exercise before bed, as these can be too energizing and interfere with sleep. It’s best to relax before bed, potentially incorporating cannabis into your evening routine for better sleep. Congratulations on your choice to grow what is arguably one of the most popular marijuana strains in the world. Many growers choose White Widow over others because of its extra-sized yield and fast turnover which makes it perfect for both small-time and commercial growers. It is also one of the more powerful strains of cannabis in the world. It is absolutely wonderful to watch this awesome strain grow in your garden as the buds flower into beautiful white crystals that are dripping with THC-packed trichomes. This sativa-indica hybrid has a fast flowering time from 55-70 days and even has medicinal properties for treating stress and physical pain. To get you started on your way to growing this top-rated strain, here are a few tips and tricks to grow just like a pro. White Widow does well in either a soil or hydroponic setup. Although you can also grow this strain outdoors from the seedling stage, you will get the best results by starting indoors. In outdoor situations, it is best to grow White Widow in a sunny, warmer climate. Some growers prefer to use continuous light indoors for germination and vegetative growth and then switch to outdoor light for flowering. This method takes advantage of the natural light cycle of the sun while cutting down on energy use. However, if you want to remain stealthy, an indoor grow space also provides excellent results and it all starts with providing the right conditions for your White Widow plants. White Widow grows best when in environments that have temperatures falling between 70-80 degrees Fahrenheit. It is a good idea to invest in a digital thermometer to monitor the temperature in your grow space. This plant can be very picky about feeding and climate so this is something you have to pay close attention to when growing your plants indoors. An easy and proven method for germinating White Widow seeds is the paper towel method. Take about 5 seeds and put them on a paper towel and cover them. Then take a spray bottle and moisten the paper towel, but make sure not to make it soaking wet. Put the wet paper towel in a plastic bag such as a Ziploc and close it. Place the plastic bag in a dark place so that it does not get any light. This process is fast and after a day or two, check the paper towel and you should see that your White Widow seeds have properly germinated. Do not use cheap soil mixes or unknown soil from outside. If you are using soil, make sure to use a good medium that will allow the roots to grow easily such as a high quality compost mix. Use rock wool, vermiculite, or perlite for a hydroponic grow. The key to producing nice big healthy buds is to ensure that the plant is getting plenty of nitrogen through watering and the proper fertilizer. You also want to make sure that the roots are getting excellent drainage. To harvest buds that are the most potent, switch the light hours into the dark period for the last 2 weeks when flowers start budding. This is why many growers place White Widow plants outdoors at this stage. By doing so, you will promote the increased production of THC crystals. By following these tips and tricks, you can yield up to 450 to 500 grams per plant for each harvest. If you are growing White Widow year-round, this means you will get a sea of green that you can enjoy year after year. With this plant, you will find that you can get good results even if you make a few mistakes. Even if you do not have a lot of money, you can still reap great rewards and enjoyable harvests from White Widow plants. Cannabis oil is widely beneficial and is considered as one of the most effective oils for alleviation of certain conditions and illnesses. If you would like to take advantage of the health benefits of cannabis oil, contact us . Have you ever wanted to learn how to make your own CBD edibles? Making your own marijuana-based food is not only a great way to save money; it’s also the perfect way to make snacks you love that contain exactly the right cannabinoid content for your unique health needs and taste. If you’re curious about what it takes to make your own CBD products, now’s your chance to find out! Here is an overview of how to start making these tasty treats in the comfort of your own home. CBD is a cannabinoid just like THC (tetrahydrocannabinol), both of which are found in marijuana. Eating THC can be very intense, but CBD oil only has small amounts of THC, so it does not produce the “high” associated with THC. What’s so great about CBD edibles, anyway? Cannabidiol edibles make the ideal alternative for those who don’t want to smoke, who can’t smoke, or who find normal marijuana-based products too strong. Edibles also tend to have a more gradual onset but last longer. CBD edibles can make up a healthy part of your regular diet as CBD oil is rich in Omega-3 oils and amino acids. Edibles are also a great option for people with food restrictions or even those who are just plain picky when it comes to food. Making CBD-based edibles is a fun way to experiment in the kitchen. When you have a bit of time and the right ingredients, it’s a rewarding way to spend a couple of hours. As fat-soluble, hydrophobic substances, cannabinoids are best combined into oil-based products like butter and oil. To make CBD edibles, you first have to either buy CBD oil or make the oil or butter yourself. So, which should you make? It depends on your end goals and preferences. There are three different ways to make CBD oil: CO2, solvents, or oil. The CO2 method is safe and clean; however, it requires special equipment. The solvent method requires specific expertise and precision and is not recommended to the general public. Extracting CBD oil using a carrier oil like olive oil is probably the simplest of the three and is also very beneficial for your health. Only certain strains of cannabis offer the best-quality CBD. If you are growing your own, you should know that some strains have a high content of THC and CBD as well. Two good examples of high CBD/low THC strains are Avi-dekel and industrial hemp. Find a strain of plant with a high CBD and low THC level. As you prepare, you will need to ensure that you have a well-ventilated area. You should also have a solid understanding of how much CBD oil you would like to have in each treat and calculate this ahead of time. To extract the oil, you will need a cup of carrier oil (virgin coconut oil is great) and 14 g of the right type of CBD buds. Grind the entire hemp plant, and put it in a canning jar with the carrier oil, placing the lid on tightly. Put the jar and a washrag in a saucepan with a few inches of water, and bring it to just below boiling, leaving it there for 3 hours and replacing water if it evaporates. Using tongs or oven mitts, give the jar a shake about every half an hour. When 3 hours are up, turn off the burner, and cover the pot with a towel. Allow the jar to cool for 3 hours, then repeat the process, leaving the jar in the pot with the towel on it overnight. Repeat the process over the course of a few days for stronger oil. When you have your oil, you can strain it through a cheesecloth. If you are using CBD oil to cook, you should note that the boiling point is a maximum of 180 degrees C. These types of oils are sensitive to light and heat, so you should store them in a dark glass bottle and in a cool area. DIY edibles aren’t for everyone. Some people prefer not to deal with the hassle of cooking and choose to buy CBD edibles. CBD comes in a wide variety of formats, including capsules, concentrates, and topicals. Looking to purchase CBD oil? Check out our list of the best CBD oil products. What Recipes Can I Make With CBD Oil? Now that you’ve made or purchased oil infused with CBD, you can start to make edibles. CBC oil is an extremely versatile substance that can be mixed into many different foods, including smoothies, salad dressings, and sweet snacks such as chocolates and lozenges. Or take a look at our high CBD edibles. Once you’ve got your CBD oil or butter, what’s next? A quick Google search will lead you to a gazillion recipes for a whole range of sweets — and there’s so much more to make than just brownies! The oil can also be used in alcoholic and non-alcoholic drinks and can even be brewed into beer! There’s so much you can use CBD oil and butter for — the possibilities are endless. It’s a good idea to start with very small amounts when you’re first experimenting with CBD oil in the kitchen as the flavor can be quite strong. And don’t forget to get creative and have fun! Why Make Homemade CBD Edibles? CBD is safe and versatile with no side effects. The beauty of making your own edibles is that you can choose the exact amount of CBD oil or butter that you want to have in your food. And you can make a range of edibles that are not only tasty but even healthy. 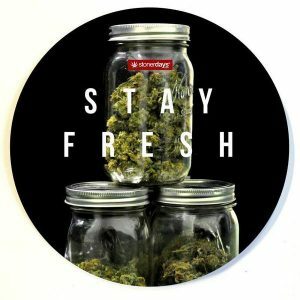 Unlike THC-based edibles, you’ll be relaxed without having to worry about feeling “stoned” to the point where you may experience paranoia or anxiety. Should CBD-infused Beauty Products Be Part of Your Skin-Care Regimen? Beauty products infused with CBD are part of a growing realm that is expanding faster each day. CBD, cannabis, and hemp have taken the world of skin care and cosmetics by storm. Products like topical CBD oil are becoming the new go-to for people who want to keep their skin fresh and their bodies healthy. From providing powerful antioxidant activity that may do wonders for your complexion to alleviating skin issues such as eczema, there is a wide range of benefits that products infused with CBD can offer you. There’s also a wide array of evidence that supports the many ways CBD can reinvigorate your skin, so why not try it out and see what CBD can do for your beauty regimen? CBD topicals include balms, salves, lotions, and oils that are infused with active cannabinoids and are applied to and absorbed directly through your skin. These cannabinoid-infused topicals have become the beauty industry’s latest obsession thanks to their smoothing, healing, and rejuvenating effects. The popularity of topical CBD products has grown massively in recent years, with CBD and other cannabinoids making their way into various beauty products, skin creams, lip balms, shampoos, and more. For those who may be somewhat reluctant to take CBD products orally, topical application can be a great way to explore the wonders of CBD-infused products and see how CBD can change their lives. What Can CBD Oil Do for Skin? The list of benefits provided by CBD oil is long and rigorous, and some of them may surprise you. CBD oil is one of the more accessible and easy-to-understand forms of cannabis, and from basic moisturizing to treating eczema and psoriasis symptoms, it’s not hard to see why people love it. 1. Effective and long-lasting moisture:Cold weather, dry indoor air, or the overuse of harsh soaps can cause your skin to lose moisture, leading to irritation and flakiness. The long-lasting moisturizing effect that CBD oil can provide could be the remedy you’ve been looking for. 3. Skin soothing:Skin that is sore or irritated from rashes or skin conditions like acne, psoriasis, or eczema can be incredibly uncomfortable, painful, and frustrating. CBD oil can provide a calming remedy to soothe and relax your skin. However, you should be cautious to avoid applying CBD oil to open wounds or unknown rashes that have not been observed by a doctor. 4. Balance oily skin:Sebum is an oily secretion of the sebaceous glands. (2) The right amount helps to protect your skin, but too much can lead to acne and a greasy-looking face. (3) CBD increases the body’s levels of cannabinoids such as anandamide (AEA), which has been shown to reduce levels of sebum. (4) Because of this, CBD oil could be a great solution if you find yourself suffering from these symptoms. 5. for all skin types: Due to CBD’s antioxidant properties, it is a universally effective method of skin care. Antioxidants are important because of their ability to minimize the damage of what are called “free radicals.” Whether your skin is rough or smooth, dry or oily, CBD oil can help you make the most of it so that you look and feel great. Washing with shampoo infused with CBD is a great way to leave your scalp feeling invigorated. It can clean, protect, and lock in moisture, leaving your hair looking and feeling refreshed. Similarly, CBD conditioner can be a great remedy for dry or rough hair. It can provide nourishment for your hair and restore its shine. Most people’s lips get dry and flaky, especially during the colder months. Keep your lips healthy and smooth with this CBD oil lip balm that will soothe dryness and heal cracks. A moisturizer spray that’s specially formulated for sensitive skin can provide all-over relief and is safe for both children and adults. Check out this CBD oil kit for a simple and complete face-and-body skin-care routine that takes the guesswork out of choosing products. If you’re unfamiliar with or unsure how to properly and effectively apply topicals to your skin, follow these simple instructions to ensure you’re getting the most out of your CBD skin-care products. Don’t mix CBD skin products with other topical products. It’s important that you are applying the CBD topical to areas of the skin that are unaffected by other skin-care products. Making sure that you are applying your topicals to clean, product-free skin ensures that your skin is effectively absorbing the oil in its entirety. Mixing the CBD oil with other products will only dilute the effects and reduce its effectiveness. Make sure you are applying it at the right time. 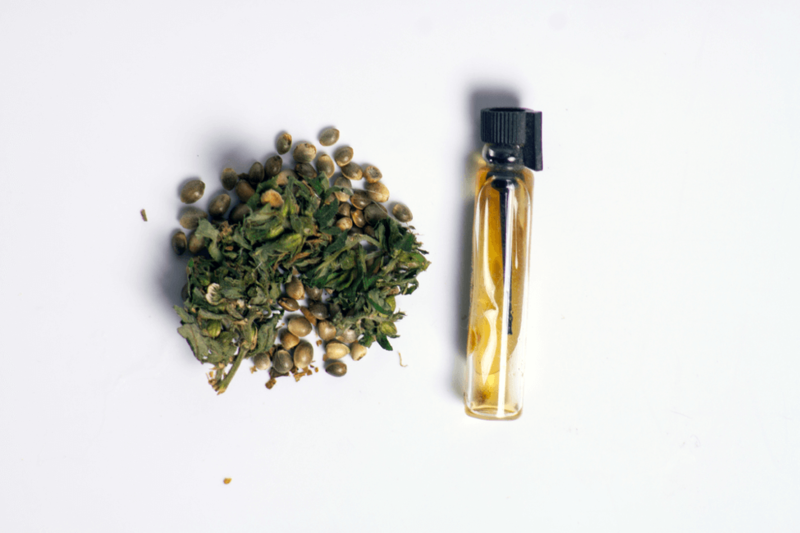 Do not apply CBD oil before bathing or taking part in an activity that will make you sweat. Water will only wash away the oil from your skin before it has time to absorb and do its work. Excessive sweating can also prevent the oil from penetrating the skin, which will nullify the effects. Apply liberally and massage CBD oil into the skin. Once the oil has been applied, massage it gently but firmly into your skin. The body won’t absorb much of the cannabinoid in small doses, so be sure to apply liberally. Once you’re done, make sure you wash your hands so you do not inadvertently spread potentially irritable substances to sensitive areas. Some oils contain compounds that may cause discomfort and irritation to the wrong parts of the body, such as the eyes. Be sure that you are applying as much oil as is recommended, and read over any and all instructions carefully. Following these instructions and basic rules is the best way to ensure that you are getting the most out of your CBD topicals. Take a look for yourself at the amount of satisfied people who have come away from experimenting with CBD topicals with positive results. Many users have supported its beauty applications, saying it did wonders for their skin. Others have discussed its benefits in aiding the symptoms of issues like anxiety thanks to its calming and relaxing effects. Ultimately, topical CBD oil for skin care is a new and exciting field. Although not all the research has been done, there is already plenty of evidence that it really is as great as people say. An amazing and healthy remedy for dry, sore, or irritated skin, as well as a variety of ailments including acne, eczema, and psoriasis, CBD topicals have already proven themselves to be a great alternative to the many beauty and cosmetic products out there. So why not check out topical CBD oil and see how it can change your skin-care regimen today? If you’ve already used CBD oil as part of your skin-care regimen, let us know what you think. We would love to hear from you! More and more people are finding hemp oil to be incredibly helpful for pain relief. Some initial studieshow shown that it may have an anti-inflammatory effect, reducing the pain felt by people with joint painor muscle soreness. Given the massive opioid epidemic sweeping the United States, this could be a huge breakthrough for relieving pain.